North eastern Libya (referred to as Cyrenaica) is located on the southern margin of Mediterranean Sea and on the northern margin of the African plate. It is divided into two distinctive tectonic provinces. 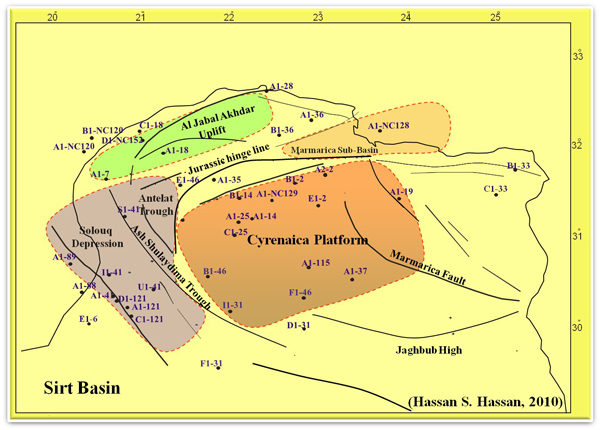 These are the stable Cyrenaica platform to the south and Al Jabal Al Akhdar uplift to the north. The upper Cretaceous and Tertiary rocks of Cyrenaica contain several potential reservoir and seal rocks. Several phases of epeirogenic movement have produced the troughs and horst blocks or platforms of the north African region since the Precambrian. At least seven major tectonic phases have beeb recorded: the Pan-African Orogeny, the Infracambrian extension, the Cambrian to Carboniferous alternating extension and compression, the mainly Late Carbonifeous ‘Hercynian’ intraplate uplift, the Late Triassic-Early Jurassic and the Early Cretaceous rifting, the Late Cretaceous-Tertiary ‘Alpine’ compression and the Oligo-Miocene rifting (Craig, et al., 2004). These tectonic Events controlled the subsequent sedimentation history of NE Libya. Major structural features of Cyrenaica. 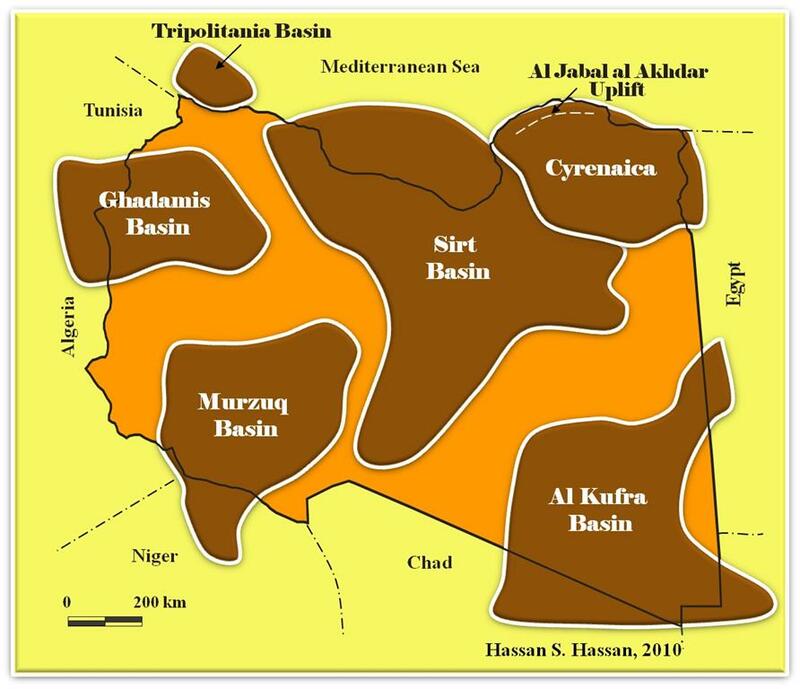 The only commercial hydrocarbons discovered so far in northeast Libya are in the Ash Shulaydimah Trough and the offshore area that includes the A1-NC 120 well. The commercial oil discovered so far has a possible source in the Paleocene and is trapped in reservoirs found in the base of the Eocene as in the well B1-41. North-South cross-section of Cyrenaica. Libya.